Mark Pollard, Bedfordshire, UK and Derek Willan, Manchester, UK talk about their first taste of the World Pairs. Mark: Derek Willan phoned me and said would you like to fish the World Pairs in Ireland sponsored to a tune of £60,000 by Lakelands & inland Waterways? This was a match I did not want to miss! I had not been to Ireland for 17 years and was looking forward to not only the fishing but what I knew was the best country surroundings you could imagine, wild to say the least. On our arrival what a place we had been booked into, Manor House Marine & Cottages, Enniskillen - it was like paradise! Our bungalow overlooked Lough Erne and all you could see was the water and countryside. I was partnering Derek and we had Mark Harris and Kieron Rich staying with us who were partnering each other. We knew that with the four of us we could share information on each day along with the odd glass or two of Rose’ in the evening. We arrived on the Thursday before giving ourselves time to prepare and see what was what so to speak. We spent a day preparing our tackle for the week’s festival ahead then took a drive looking at some of the venues. It was amazing how friendly the locals were to us and helpful especially in the tackle shops, nothing was a problem. We fished two practise matches on the Saturday & Sunday to glean some information. 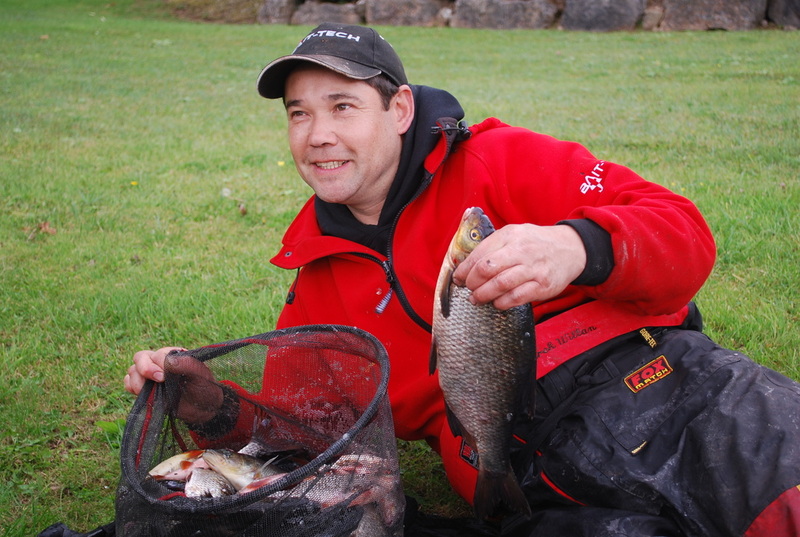 On the Saturday I drew at Kleenish Ireland and caught 8 kilo of prime golden Roach finishing second in my section. On the Sunday I drew at Brackley next to Mark Harris. We had a great day I won the county section with 25 kilo of Bream up to 1 kilo and Mark was second with 18 kilo of Bream. A great days fishing and great company (I think so any way that’s the company I mean). I was now looking forward to the start of the festival, my warm up was over. We attended the draw on Sunday night; one angler would be A section and the other B section designed to ensure the pairs did not draw side by side. I was B section leaving Derek on A section. The word in the room was A section was the best sections through the week and you would not frame overall as an Individual from B section -how wrong can you be? 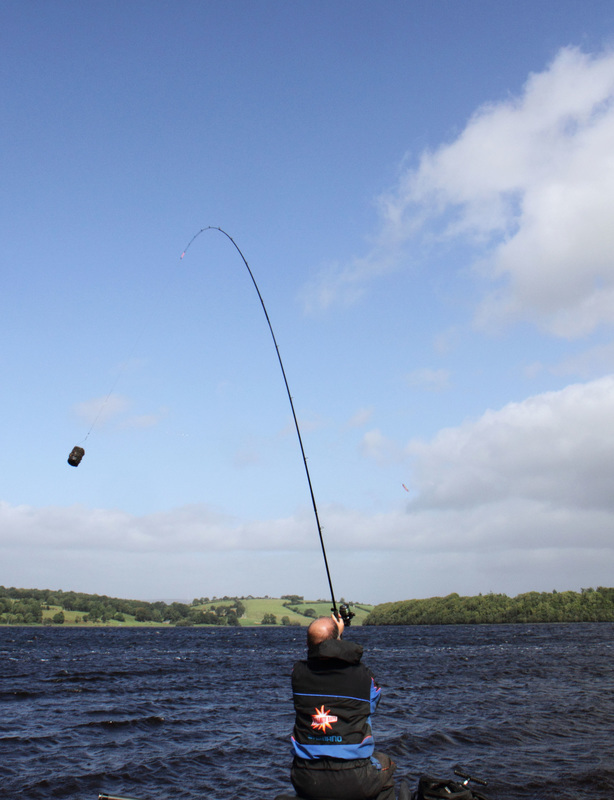 The format of the Festival was that the fishing would be Southern and Northern Ireland promoting the fishing and tourism for the Lakelands region. I need not say more as for everybody I spoke to taking part said they without doubt will be back next year – what a location, the best countryside you could wish for! Our week’s rotation started in Cavan so the first day of the festival saw me fishing Lower Derries with Derek on Brackley Lough. I made my way from the draw which took place in Ballyconnell at the Anglers Rest. The organisation was brilliant, I was concerned at not knowing where I would be going, but with signage along the road taking you to your section it was easy. I will say that the match organisers and the Inland Fisheries staff had set all this up prior to our arrival and what a job they had done to. Not only were the directions and signing along the road first class but the pegs were all cut out and access was made easy. As I set up at my peg I could not help but notice how quiet and peaceful it was you could hear the odd fish splash on the surface and the Woodpeckers calling. Surrounded by magnificent scenery and five hours of fishing ahead what more could you want? I fished a good match and put 8 kilo + of Roach on the net for a section and lake win. This was a good start I had spoke to Derek on the phone he had weighed in 10 kilo and so our combined weight was 18 kilo plus. We had aimed to get 15 kilo a day thinking 75 kilo would put us in the top 18 at the end of the week. So our target was set against the fabulous prize list 1st £30,000 2nd £10,000 3rd £5,000 with the next 15 places £1,000 each. were in the lead! Derek won the day and I was second not only had we won a lot of money but our total weight was 60 kilo + we went into day three with a 4 kilo lead and 15 kilo from our target weight for the five days. We were buzzing with 3 days to go. Day 3 saw us both at Muckno in the south this would be Roach fishing on the tip. I had spoken to Geoffrey McKinley a good friend of mine who fishes Muckno regularly and assured me you would catch Roach from any peg this I was looking forward to. It was a windy day and you could not fish the pole I put 7 kilo 500 0n the scales and Derek put 12 kilo 140 a combined 19 kilo plus. We are still looking good and looking forward to the next day; still leading by 13 kilo can we improve? Day 4 put me on B1 this was the northern area Fermanagh, on Kleenish Derek drew A19 at the Manor. I had a hard but good day on the waggler putting 7 kilo 500 grams of Roach while Derek put 8 kilo 300 of hybrids on the feeder. It was now getting to get tense! Our total weight going into day 5 was 96 kilo 400 leaving us in second spot with 2 kilo 360 grams off the leaders Cathal Hughes & Philip Jackson. They had a good day and put together 33 kilo 900 grams on the scales a great performance. Day 5 I drew B18 Leitrim and Derek drew A1 (Oh dear) this peg only caught 1 kilo plus the day before and we had heard that Cathal and Philip had both drawn well in Fermanagh with end pegs. So we agreed to just do what we could. I had a good match and put 13 kilo 620 grams of hybrids on the scales, I caught on the feeder. Every fish had not been caught before in the mass of water and miles of fish to come. Derek did well putting 2 kilo 970 grams into the net giving us a total of 112 kilo 990 grams. Cathal and Philip needed to catch over 14 kilo. It took a long nail biting time to find out but they had done it, putting together 18 kilos from another great performance. Well done to the both of them. We had a fantastic week, finishing runners up in the first ever Lakelands & inland Waterways World Pairs Angling Championship 2012! Winning a cheque for £10,000 plus another £5,000 from the Individual pools and a lovely cut glass Crystal Plate each - what a week! The final twist in the tale was that I finished 6th overall, the only angler in B section to do so (I think I will put my CV in). This was definitely the festival to be on it was well run, the countryside awesome and the wild fishing, well it speaks for itself. Everyone caught, it wasn’t easy you had to work at it but they were there to be caught and it created the challenge. 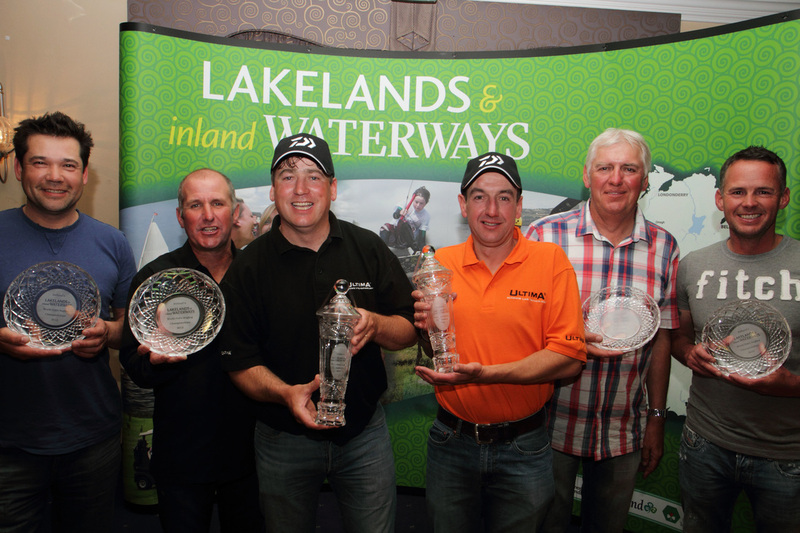 The sponsorship from Ireland’s Lakelands & inland Waterways was awesome and Daiwa who sponsored some of the best prizes I have seen on display at a fishing festival also need to be thanked immensely. Robin Morley of Daiwa was there to present the prizes and gave a great speech which was a credit to the sport. This leaves me with to finally say well done to Cathal & Philip who not only brought me a lovely bottle of Rose but fished well and hopefully see you next year. I would like to add that in my experience the festival brought back what Irish festivals used to be like! Many new faces were in attendance some of whom had never set foot on Irish soil before, very refreshing to see. 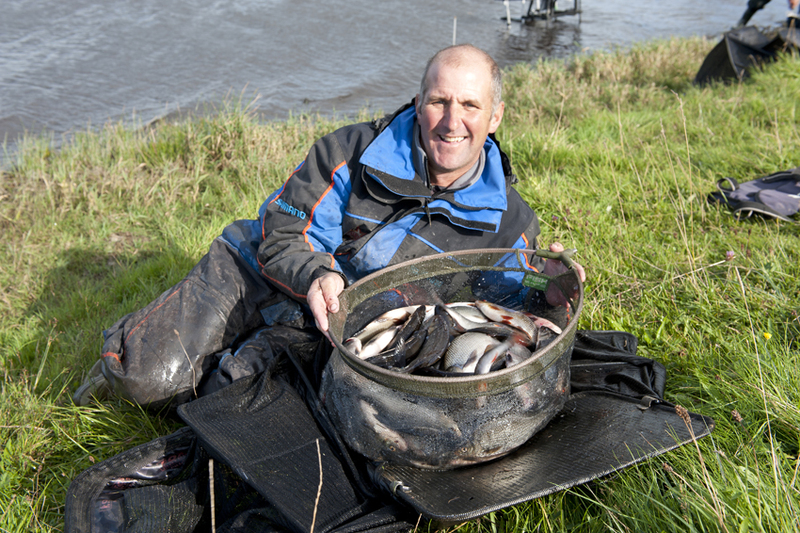 We were in the company of some of the best anglers in the world and with a little bit of luck we were all in with a chance of picking up some coin. A prestigious festival like this takes some organising and it is a credit to all involved for their hard work in making this happen, from admin to cutting pegs out everyone deserves credit for making this event the 'big one to win'!